What is the Hydrofinity advantage? 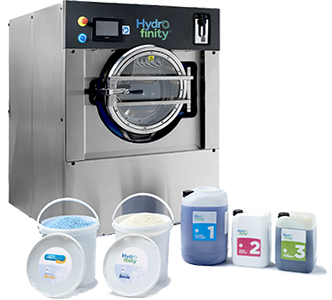 A Hydrofinity system uses up to 80% less water than a traditional machine. 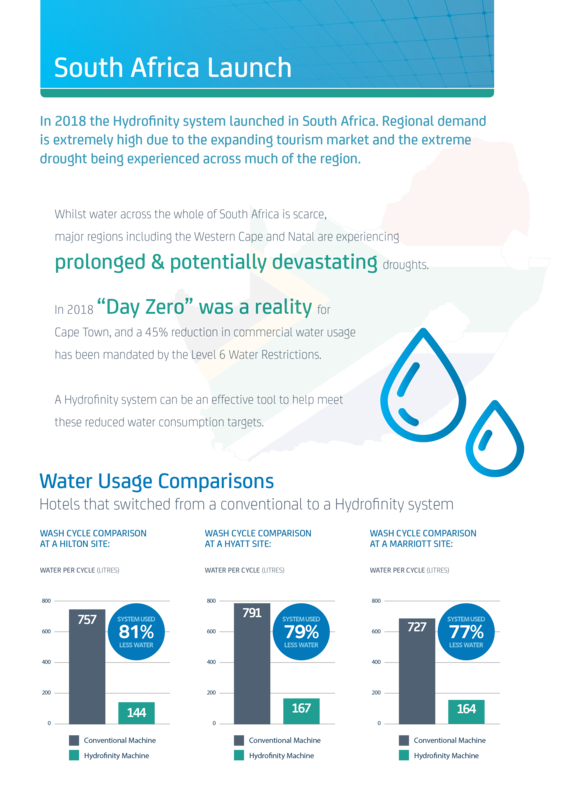 A single 25kg machine running 14 cycles a day, saves up to 2 million litres of water each year – in Cape Town that saves R177,500. The system requires lower water temperatures to run, so it can use up to 50% less electricity than a conventional machine (depending on ambient water temperature). With ever-increasing electricity costs, this translates into real cash savings for operators. Award-winning Hydrofinity technology is proven to remove tough stains, including make-up, food and blood, often in just one wash. Customers report softer, fluffier towels, whiter linens, and crisper table cloths after switching to the unique system. 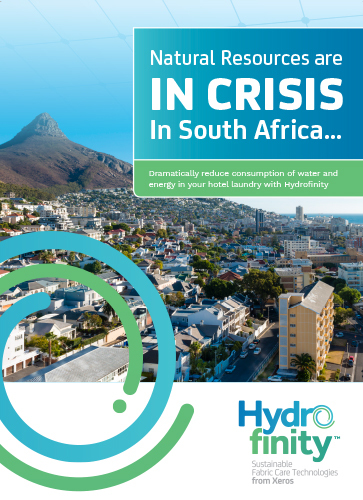 Whilst lowering water bills, the system also reduces energy, detergent and maintenance costs. Indirect savings include linen replacement & staff costs. Less pre-treating & sorting frees up staff. Lower temperatures and less detergent means reduced shrinkage & less wear and tear on your expensive sheets and towels. The unique package means there is no longer a need for multiple suppliers. 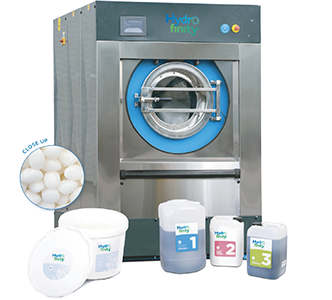 Hydrofinity provides you with the XOrbs™, detergent, service and maintenance you need, within the monthly cost.